In recent years, lecture capture has gone from a helpful learning aid to an essential utility that more and more schools are using as part of the learning experience. Recent studies have demonstrated that recorded lectures improve student engagement and achievement by providing individual control over the pace of learning and the ability to review complex topics after class. 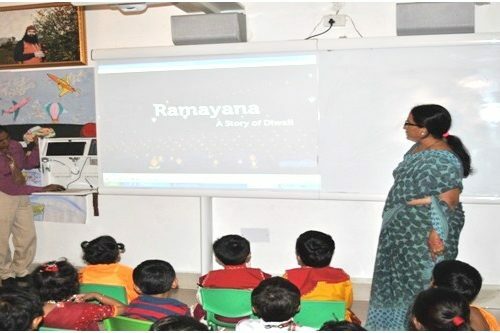 Online education encompasses a variety of technologies, one of which is lecture capture-a long standing practice at Saint MSG Glorious International School. Lecture capture systems improve learning outcomes. We have an existing audio video infrastructure in Saint MSG Glorious International School that is accessible through the Control Room. With this, our automatic control system captures and streams a variety of content: commencements, lectures and speeches from teachers in the classroom. This way we are working closely with faculty on campus, leaving them to focus on their students and their class content. Students are also being put in front of the camera to have the record of their presentations and afterwards evaluation of assessments being given by students. Enhanced support for individual learning preferences and needs. Lecture capture allows substantial flexibility to be integrated into the learning process. For instructors, they have flexibility in when and how materials are delivered. Through the facility provided by Saint MSG Glorious International School. Make student contact time richer by making supplementary content available before your lecture. Take a “flipped classroom” approach to teaching. Personalized lecturer analytics to help highlight which areas of the subject matter your students need more support in. Concentrate on the meaning of your lecture rather than on note taking. Review lectures again at revision time or as part of preparing assignments. Catch up if they were unable to attend a lecture.